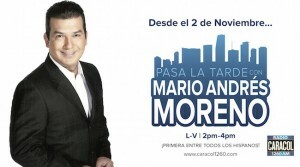 Mario Andrés Moreno has landed his own show on Miami’s Radio Caracol 1260 AM. 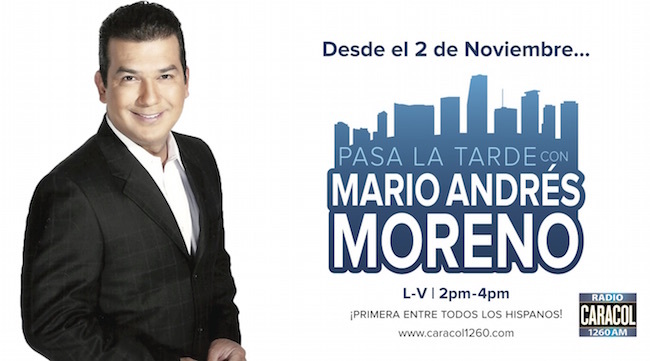 “Pasa la Tarde con Mario Andrés Moreno” will debut Monday, November 2nd, 2015, and air Monday-Friday from 2 to 4 pm. 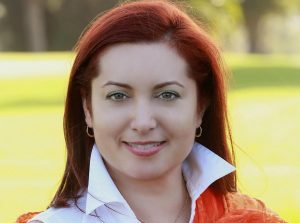 The news and opinion-based talk show will feature guest interviews and address topics relevant to Miami’s diverse Hispanic community, including issues concerning their home countries. To make room for the new show, Radio Caracol is canceling “Esto es lo que hay” with Horacio Gioffre, which aired in that time slot. The show’s last day is Friday, October 30. Horacio will continue to co-host “Tercer Tiempo” weekdays from 1 to 2 pm. 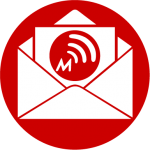 This marks a return for Mario Andrés to Radio Caracol in Miami. He worked at the station when it went on the air in 1993. Mario Andrés was most recently 11 pm anchor at Univision’s WLTV-23 until May of this year, when the station decided not to renew his contract. An Emmy-award winning journalist, he had worked for Univision in different capacities since 1996.